This 10ft. by 8ft. 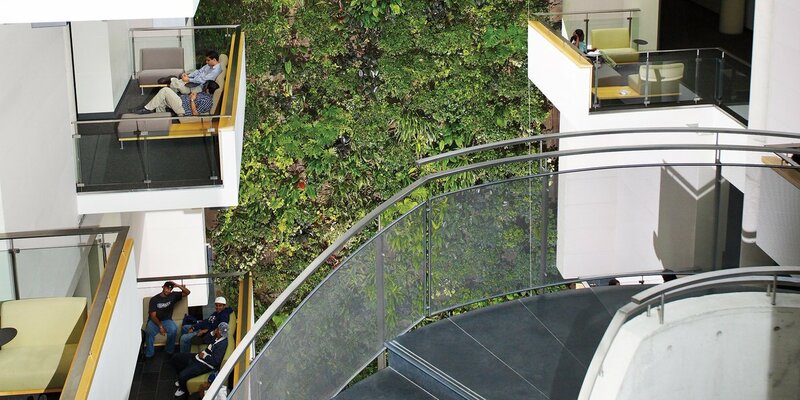 living wall biofilter is located in downtown Toronto in the Allied Properties head office.